Before I start on to the review, I just have to say that the brand name of this product really gives me the warm and fuzzy feeling. 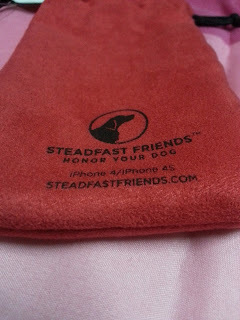 STEADFAST FRIENDS. What a perfect definition of our pets. They are there for us 24/7 if we need them, giving emotional support or just to put slobber on our faces. Nevertheless, it's that companionship that has forged us to seek solace with our four-legged heroes. I think this is what their products are all about. As dog-lovers, we’re always searching for ways to express our affection for our four-legged family members! We formed Steadfast Friends to do just that. 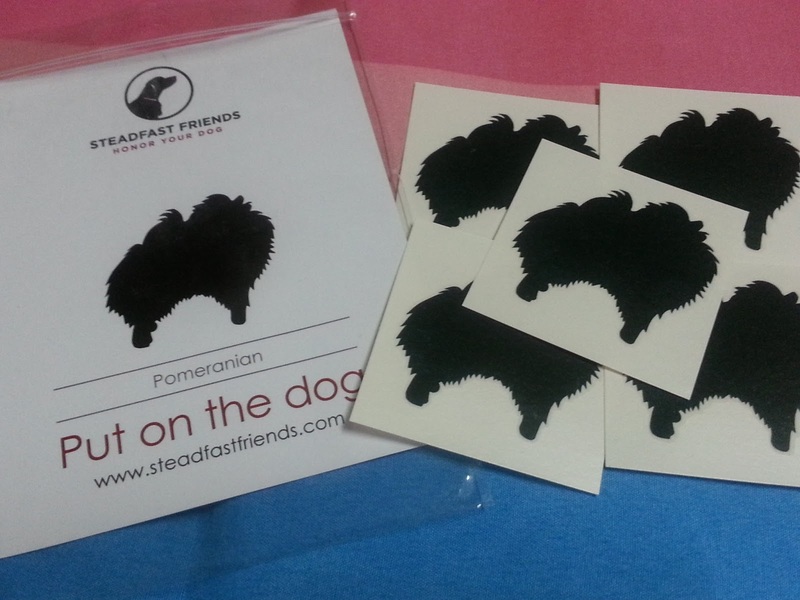 We are excited to offer a line of unique products featuring the distinctive silhouettes of your favorite dog breeds! Our ChalkboardDogs! are fun for all and everyone who sees them loves them. Stick your ChalkboardDog! on the wall or the fridge and let your inner artist shine. Our line of Women's Shorties are fun, comfortable and flattering - plus, they make a great gift! 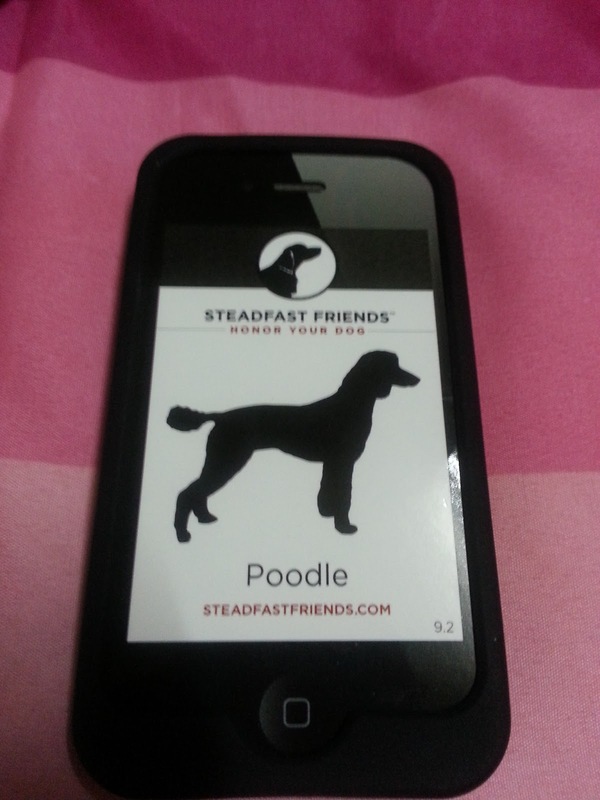 Our iPhone cases and temporary tattoos let you return your dog’s loyalty and show the world how much you care. Lastily, our new Honor Your Dog Tee in Men's and Women's styles is the perfect way to tell the world that you are a dog person, that a dog is central in your life. We invite you to share our message and Honor Your Dog. 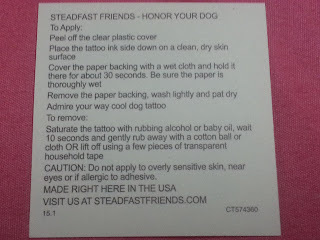 Steadfast Friends is a family-owned and -operated business – and we even get a little help from our three dogs, Piper (a lab), Dillon (a Golden Retriever) and Henry (a German Shorthair Pointer). Our product inventory is currently expanding and we can’t wait to show off our newest additions! Also, please note our Corporate Giving policy. We dontate 10% from all online retail sales to your favorite canine-driven charities. We feel it is so important to give back and hope you enjoy giving to a worthy cause upon checkout. 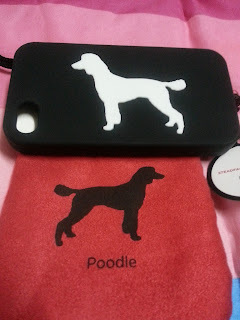 Obviously, I got the Pomeranian design. Pom fan here! 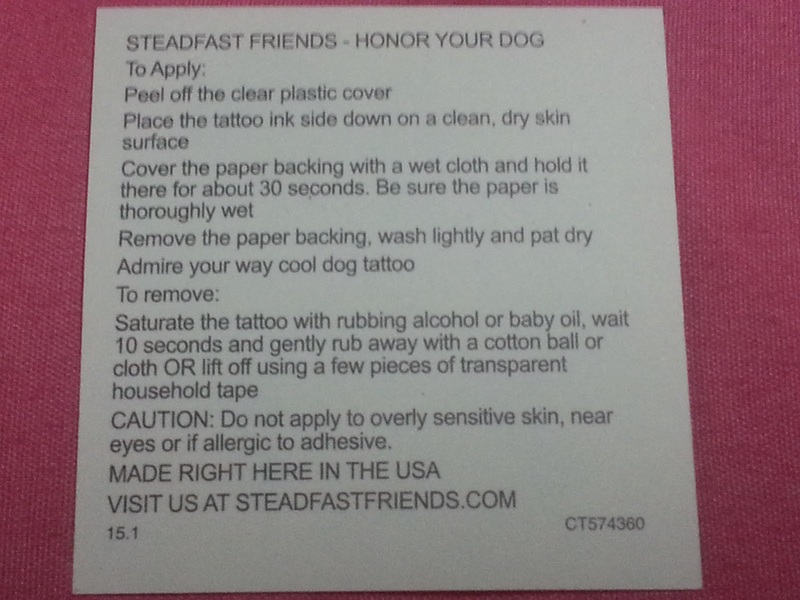 Each pack contains 5 tattoos. They also have a huge selection of dog breeds so I'm sure you'll find one that you will like... What? No cat design? Yup, unfortunately they only have dog designs available. MADE IN THE USA. No questions ask! I think these cases come in 3 colors. Red, White and the black one like what you see below. Really beautiful, and feels secure in my hand. Sturdy and you can feel that the device is well protected. 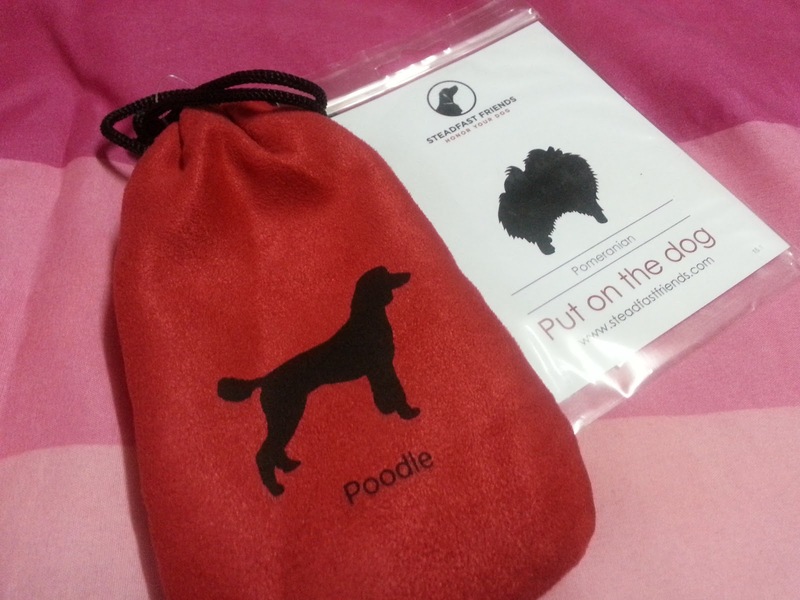 It came with this really vibrant red colored pouch. I actually made it into a coin purse. I'm just that type of girl who likes to use things for different purposes. But hey, whatever works right? The disappointing thing is...I do not have a Iphone 4/4S! I have a Galaxy phone and an Ipad. Talk about irony! It would have been perfect. You can subscribe to this blog. Lower right sidebar. I would be so thankful plus you get to know the latest giveaways! What has been the greatest thing you have done for your Steadfast Friend/s? contest open to all readers (international). Cat owners can join too! Our corporate policy is to donate 10% of revenue from all online retail sales to canine driven charities. I simply love it when companies give back. It shows and portray their character. The exiting thing is that they also have tees! Unfortunately, I don't have it so I can't give my say on the matter. Would love to try it though. Do you have it? Let me know your thoughts.